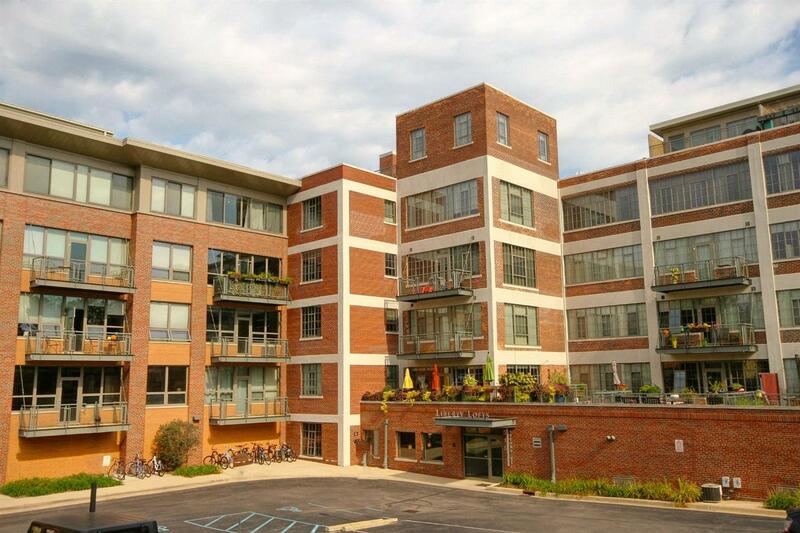 Rare opportunity to purchase 1 of only 3 Liberty Loft terraced (700 sq. ft!) condos. Imagine romantic dinners on your deck at dusk, summer parties for 10 or 50 under the stars, or Fall football tailgates. 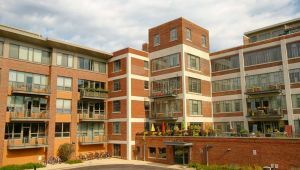 This spacious, 1 bdrm, 1.5 bath unit has a very appealing, open floor plan. Located in the original, factory side of the building, its ten foot ceilings, wide plank flooring,columns and brick knee walls pair well with the unit’s luxurious finishes. Kitchen has a 17 ft. span of beautiful cabinetry, with under mount lighting, a very stylish custom backsplash, granite counters, a large island, and Jenn air stain. appls This opens to the expansive living/dining room space with a tiled accent wall and floor to ceiling windows looking out to the lovely, furnished, private terrace. Pioneer Kuro tv with sub woofer and receiver are in place in the living room and the unit is pre-wired for dual zone surround sound. Mstr bdrm has customized walk in closet and tiled bath.